SeeYou Maps help put your flight in context while you analyze the smallest details, so you can improve on your next flight. There are three main map styles you can choose from in SeeYou. Each is valuable in its own way. 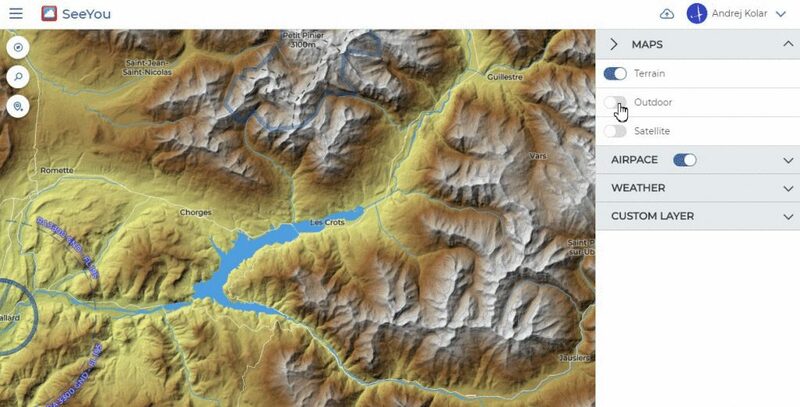 Terrain maps are great for overview, understanding flows of valleys and ridgetops. 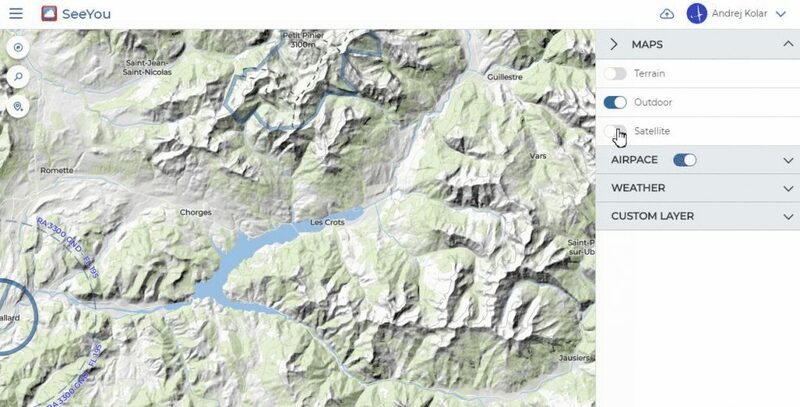 Outdoor maps display vegetation, contour lines and buildings. They are great when terrain maps are of no interest to your analysis. 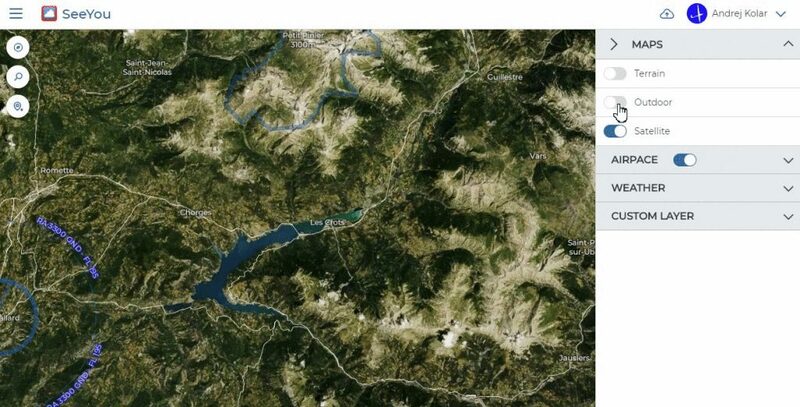 Satellite maps are beautiful pictures from space. Want to see exactly where you landed the other day? Just flip the switch.